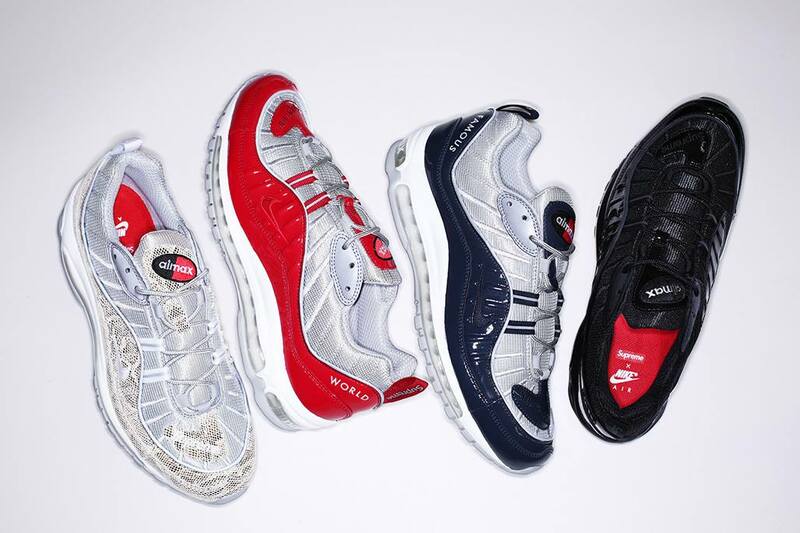 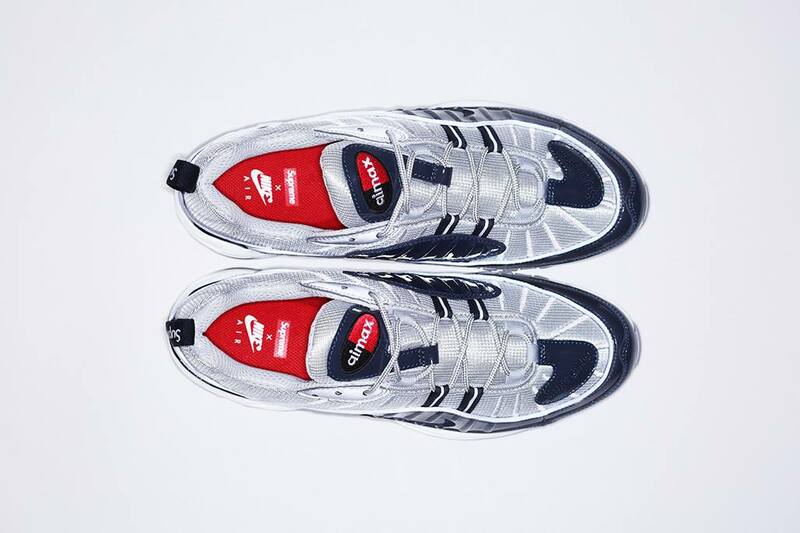 This spring, Supreme will be teaming up with Nike to produce a new version of the classic Air Max 98 runner in four colorways. 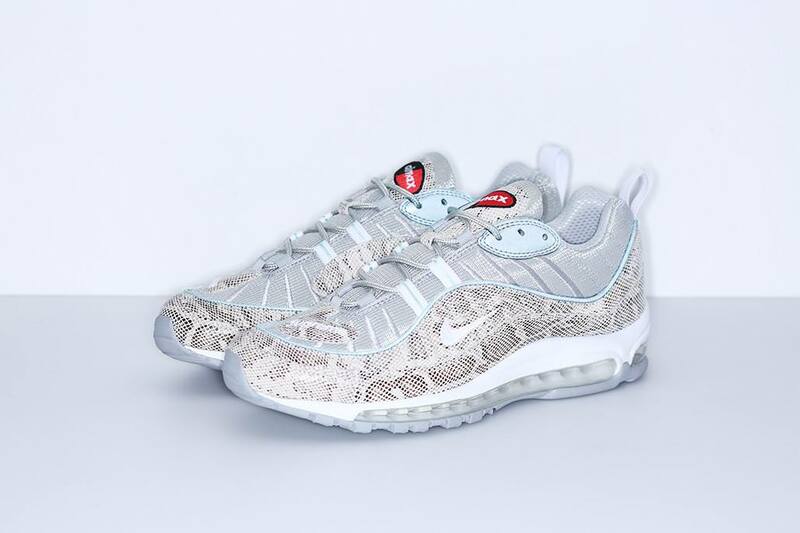 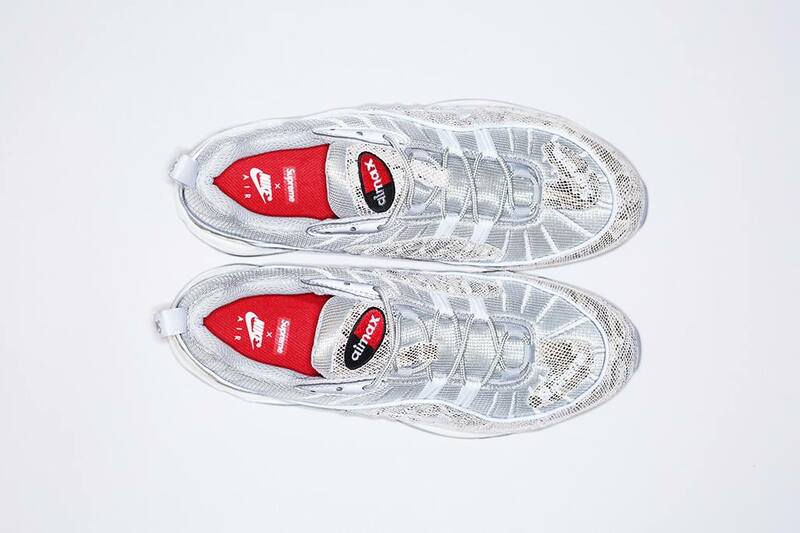 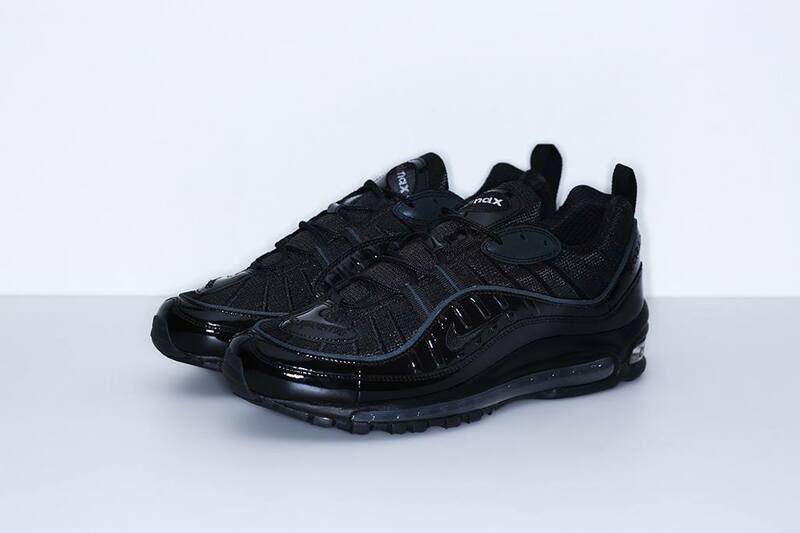 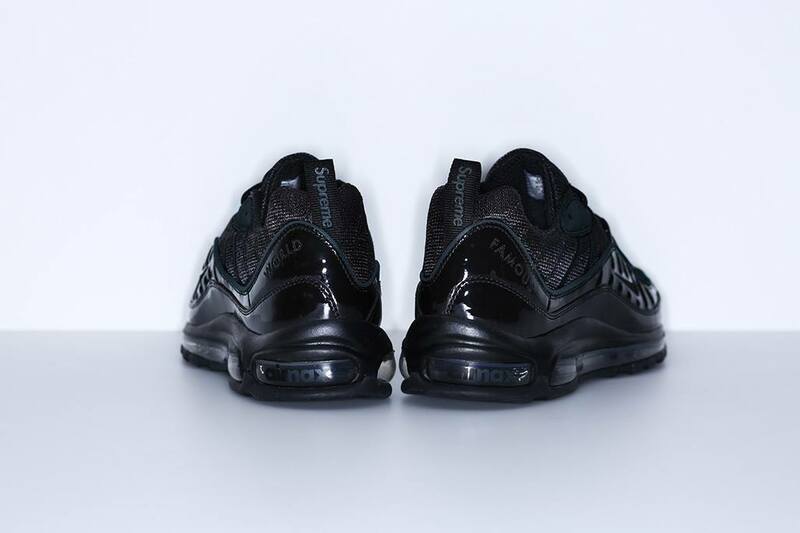 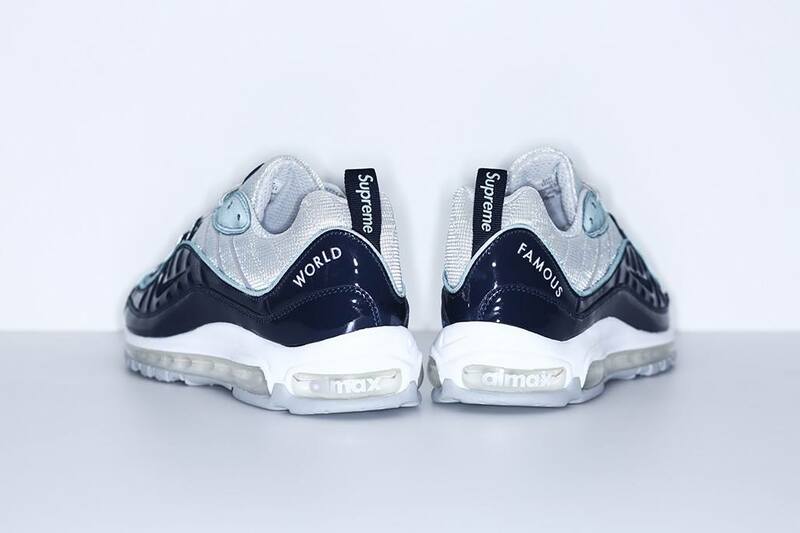 Consisting of a faux snakeskin re-make and three additional patent leather colorways, the Nike Air Max 98 x Supreme feature full length Air Max cushioning midsoles, metallic mesh uppers and reflective details. 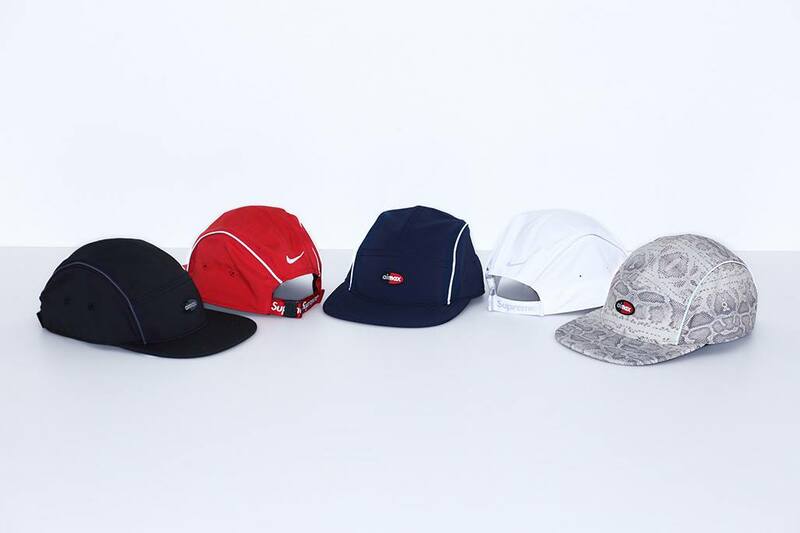 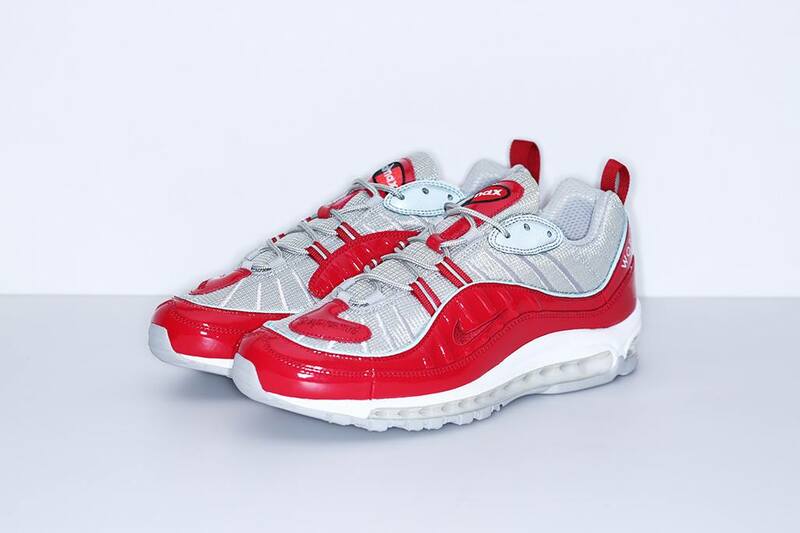 Made exclusively for Supreme, the Nike® Air Max 98 will be offered in four colorways along with a Dri-FIT Running Hat in five colorways. 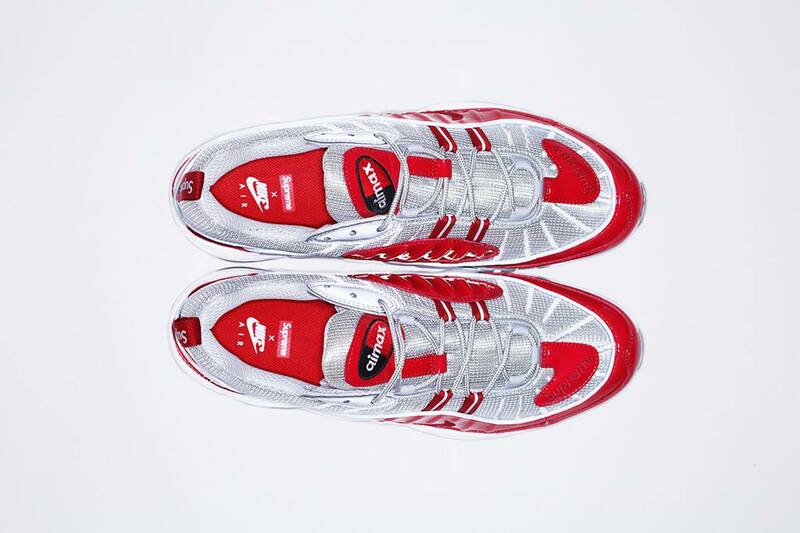 The Supreme x Nike Air Max 98 Release Date has now been announced for April 28th online, followed by a Japan release on April 29th. 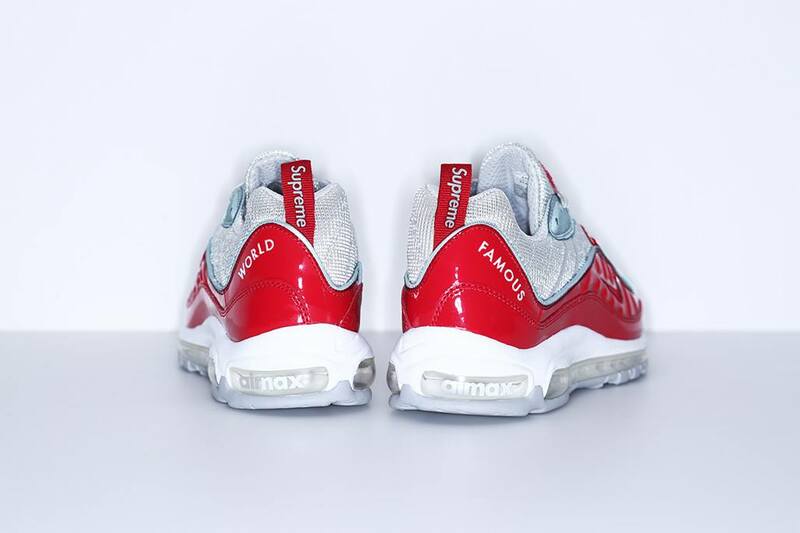 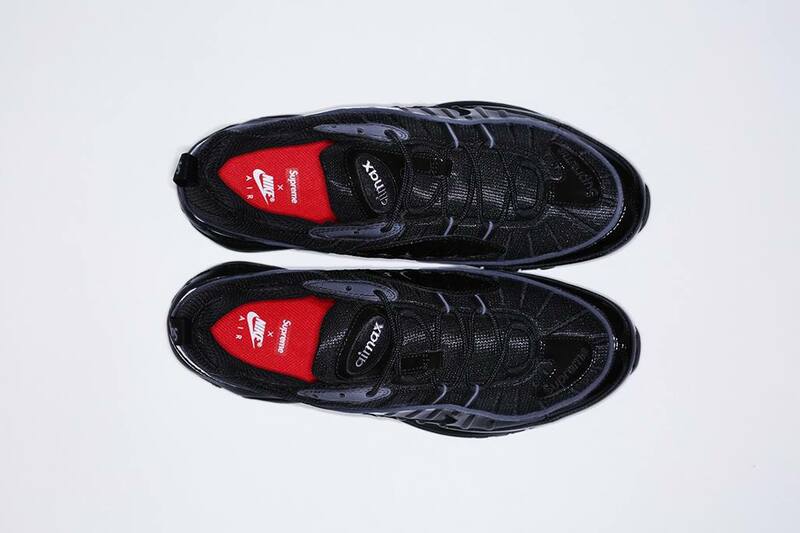 Let us know if you’ll be copping the Nike Air Max 98 x Supreme when they release this week.